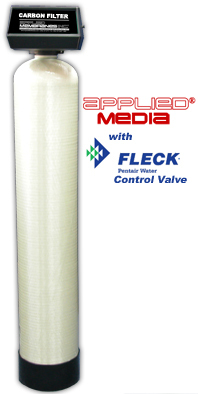 Activated Carbon Filters - Carbon Filter Fleck Control Valves | Applied Membranes Inc.
AMI Activated Carbon (GAC) filters are used to reduce chlorine, organics, color, tannin, objectionable tastes and odors, and dissolved organic chemicals from municipal and industrial water supplies. Automatic backwashing system removes the trapped contaminants within the filter bed and washes them down the drain. One of the most common applications for activated carbon filters is the reduction of the undesirable tastes and odors present in many chlorinated water supplies. Activated carbon has been successful for many years in the reduction of free chlorine from water supplies. The end product is clean, fresh water with no objectionable taste or odor characteristics. 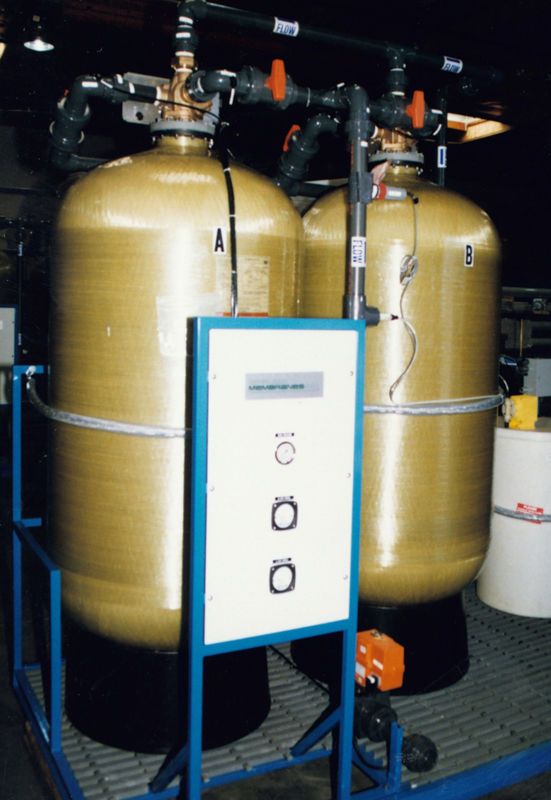 Carbon Backwash Filters are effective in a wide range of applications ranging from pre-treatment for other water purification systems to use as individual treatment equipment for the removal of specific impurities. Chlorine By-Products - Trihalomethanes (THMs): A Group of organic chemicals, suspected of being carcinogenic. Volatile Organic Chemicals (VOCs): Organic Chemicals that turn into vapor. 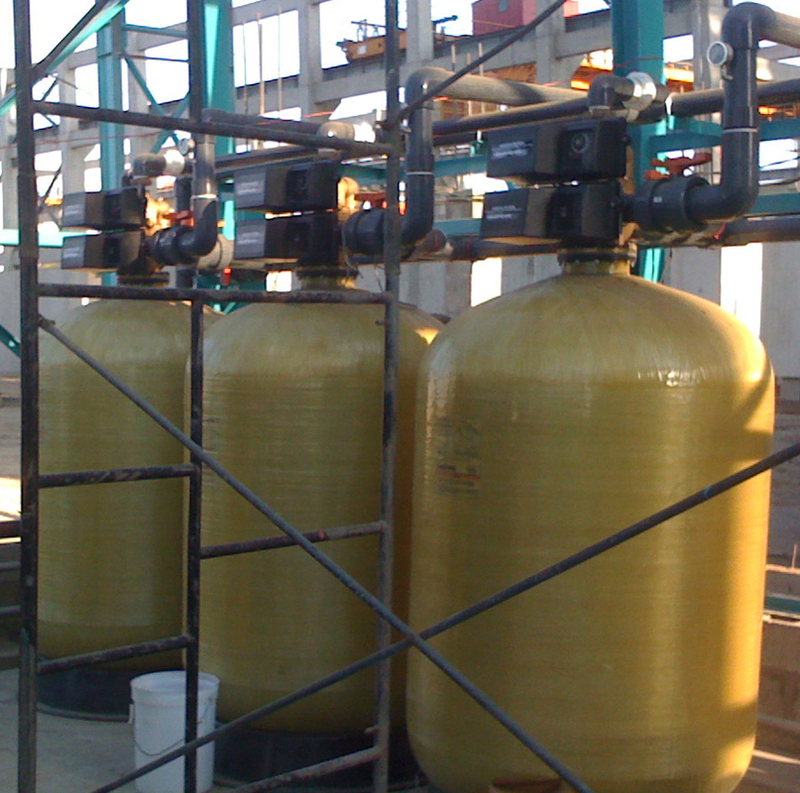 * Carbon Backwash Filters are available with several options of valve voltages. Please add the appropriate voltage code to the end of the model when ordering. **5 gpm per sq. ft. of media is the best design condition for filtration. For relatively clean water, you may go up to design criteria of 15 gpm per sq. ft. Backwash flow rate based on 25 psi pressure drop. Stainless Steel Jackets are available for 9” to 16” Diameter GAC Carbon Filters. To include a SS jacket with your carbon filter, please add the appropriate part number below to your RFQ or order.